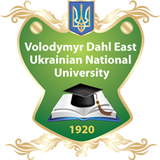 "Welcome to the Official Website Of East Ukrainian National University"
Volodymyr Dahl East Ukrainian National University is one of the leading establishments of higher education in Ukraine. It was founded in 1920 in memory of Vladimir Dal. It is one of the oldest University in Ukraine. For more than 90 years, East Ukraine Volodymyr Dahl National has helped shape the lives and communities of people in Ukraineand around the world. Its forward-thinking spirit, research-led teaching, and cutting-edge discoveries make East Ukraine Volodymyr Dahl National, Ukraine’s defining university. Besides branches in Luhansk the university has branches in other Ukrainian cities (Sievierodonetsk, Rubizhne, Krasnodon, Antratsyt, Livadiya, Feodosiya, Yevpatoriya, Skadovsk). Nowadays the university has level IV accreditation, with 24 faculties and nearly 1,083 professors, 742 of them PhD's. The university owns 55 buildings in east and south crimea Ukraine, University has about 36,000 Ukrainian (and about 800 foreign) students and confers degree 124 majorsat the associate's, bachelor's, master's and doctoral levels. At present it is a huge educational-scientific complex that is constantly developing. t won’t be an exaggeration to say that the whole history of the university’s development proves its enormous ability to stay alive. East Ukraine Volodymyr Dahl National Universityactivities covers wide range of subjects and in research. East Ukraine Volodymyr Dahl National Universityis a comprehensive, doctoral-degree-granting university offering to a diverse and capable student body a wide range of opportunities and challenges for learning and growth; to the world of knowledge, vigorous and expanding contributions in research, discovery, and application; and to the State and its people in every region, a variety of expert services. East Ukraine Volodymyr Dahl National Universityis dedicated to the three broad purposes already mentioned-learning, research, and service: learning, on-campus and off-campus, to enhance the intellectual, cultural, social, and professional development of its students; research, both to extend the present limits of knowledge and to bring deeper insight, understanding, and usefulness to existing knowledge; and service, to apply knowledge and the fruits of research to the lives of people.Students experience direct involvement in the city's civic, business and cultural opportunities. So, please, get acquainted with our site, get the information about our departments, directions of training and professions, about gripping and exciting life of our university. You will for sure feel the respect for our higher educational establishment. Do come to us! You are always welcome!